buy valid Microsoft Visio Standard 2010 SP1 license is great. I am very pleased with the support and the product, which works perfectly. Windows 8.1 Professional brings together everything you do - from mobile apps for your business, to Office productivity work, to searching and browsing, to accessing all your data from anywhere. Your Windows experience works across all your devices - from the best business tablet, to a thin and light notebook, to your high-performance workstation or all-in-one, whether you are at home, in or around the office, or working on the road. And Windows takes care of the essentials - letting you manage personal devices in your organization, utilize your investments in your enterprise infrastructure, and enhancing the security of your environment. Microsoft Windows 8.1 Professional also has all the functions of Windows 8 Pro, such as Remote Desktop, Domain Join, Encrypting File System, Group Policies and the ability to boot from an external hard disk. Many further features and enhancements have been introduced with the update of the Windows 8.1 operating system. 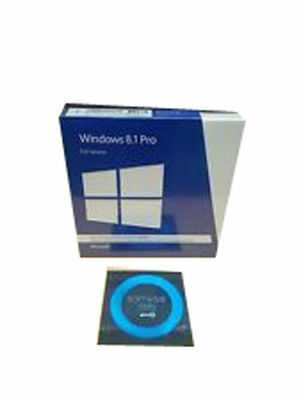 With Microsoft Windows 8.1 Professional, a number of visual and technical system optimisations have been introduced when compared to Windows 8 Pro. The most notable difference is the option to display the desktop in tile format or in the traditional layout. The Windows 8.1 Pro operating system Start menu can also be displayed if required with a right mouse click, as in Windows 7. Thus users are supported with the appropriate settings according to whether they operate with a touch screen or with a mouse and keyboard. In addition, Windows 8.1 Professional comes with numerous pre-installed modern apps. The functionality of existing apps such as "Videos", "Music", "Camera" und "Photos" has also been extended in the Windows 8.1 Pro operating system. The many innovations and the optimisation of the interface make the Windows 8.1 Pro operating system a powerful platform which, with its new features and programs, actively supports professional users and small businesses in their tasks. The performance enhancements make Win 8.1 Pro a reliable operating system. The more modern user interface, as well as modern apps, offer the user an up to date system both for hand-held devices and for traditional computers. 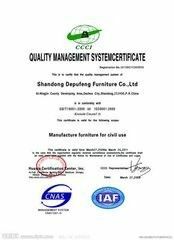 China Good Quality PC Computer Software Supplier. Copyright © 2017 - 2019 pc-computersoftware.com. All Rights Reserved.